At the heart of Dr Lampidis’ groundbreaking cancer research is a process so fundamental that it has survived a billion years of evolution. This process, termed glycolysis originating from Greek “glyco” meaning sweet and “lysis” meaning breakdown, evolved as the only means by which tiny microbes could survive at a time when there was no oxygen in our atmosphere. There are three basic energy sources from which humans derive energy – carbohydrates, fats and proteins – but without oxygen, only sugar (a form of carbohydrate) can be used to sustain life. The most difficult cancer cells to successfully treat are found in the center of a tumor where there is little or no oxygen, a condition known as hypoxia (see figure below). These hypoxic cancer cells are not only resistant to chemotherapy and radiation but also give rise to metastases (spreading of the cancer from the original site to other parts of the body). Dr Lampidis reasoned that because they depend on sugar to exist (similar to the microbes of a billion years ago), he could selectively kill these hypoxic cancer cells by blocking glycolysis with a false sugar, 2-deoxyglucose (2-DG). He proved his idea in cancer cells growing under hypoxic conditions in a petri dish and from there in laboratory animals where the tumors naturally contain hypoxic cells. With the outstanding help of several physicians his idea was brought to reality with the completion of an FDA approved Phase I trial in humans. Unfortunately, 2-DG is not patentable and so pharmaceutical companies are not interested in investing in future clinical trials. 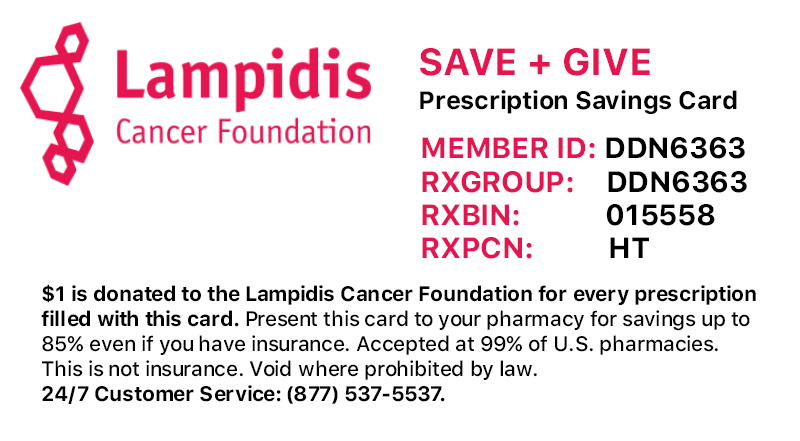 Hence the Lampidis Cancer Foundation has been campaigning to raise funds to support Dr Lampidis’ pioneering work on 2-DG through the next stages of clinical trials, with the single-minded goal of making it readily available to cancer sufferers around the world.